It is delightful to discover a Victorian hymn writer who was also a novelist! 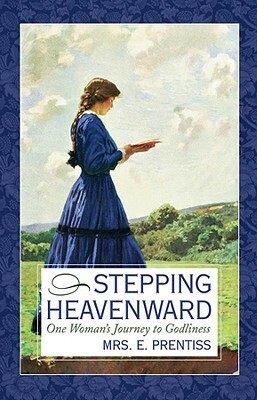 Elizabeth E. Prentiss, who penned the well-known hymn “More Love to Thee,” published several works of fiction, including Stepping Heavenward: One Woman’s Journey to Godliness (1869). In this coming of age story, the protagonist Katharine journals her pilgrimage through the summits and valleys of sanctification, the process by which God uses blessings and trials to shape and refine us into people after his own heart. Although Prentiss was American, her works were widely read throughout the British Commonwealth and translated into other languages; Prentiss was even included in a German anthology entitled A Collection of British Authors. From beginning to end Stepping Heavenward is infused with the truths of the Christian faith, but three overarching themes govern them all, and all derive from scripture. Firstly, every trial is sent from God to test and refine us, and the choice we make regarding each one – to accept with humility or reject in anger – will either draw us closer to or push us away from God. Secondly, the key to Christian joy is contentment in all circumstances (especially in unfavourable circumstances). And lastly, everything should be done for the glory of God, by doing it in the spirit of Christ – and not just when praying or visiting the poor. Even when working, shopping or pursuing a hobby we should not act as though a secular/sacred divide separates our lives. All is God’s, and we can choose to bring glory to him every moment. For another example of Christian literature that aims to inspire readers to act virtuously see Agnes Grey (introduction and analysis). What a lovely review. It sounds like a beautiful book! I will definitely be looking out for this to read this Winter. Many thanks, Descartes.